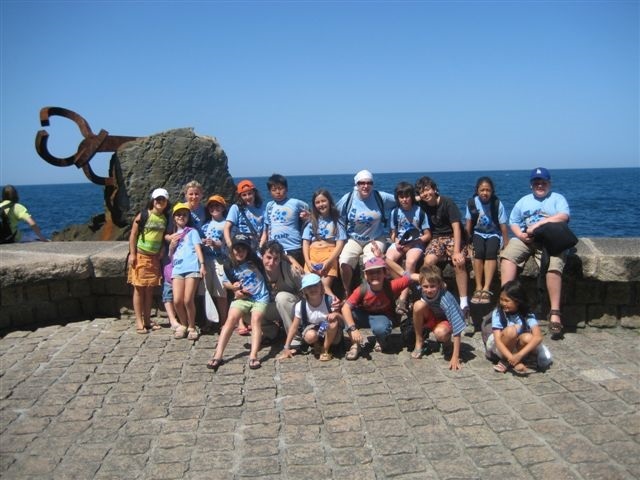 The Lacunza Spanish Summer Camp specializes in teaching Spanish as second language. 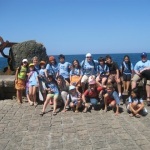 English as a second language is also offered to local Spanish children. 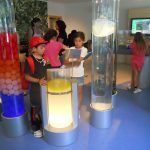 Each summer, they receive participants ages 7 to 15 from a diverse group countries ranging from the United States and Canada to European countries like Spain, England, France, Germany, Sweden and the rest of the world including Russia, Kenya, Bahrain, China, Korea and Namibia to name a few. 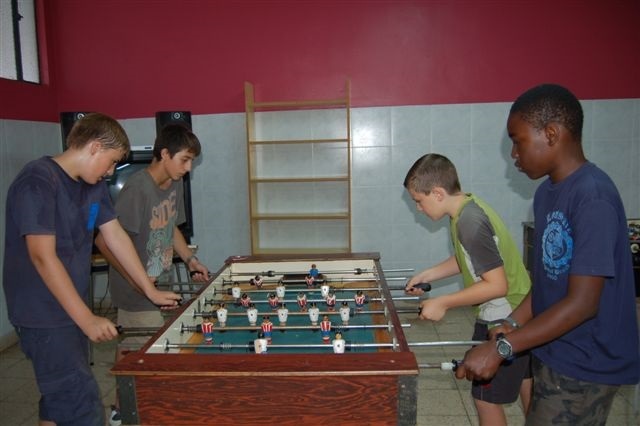 Our participants come to Lacunza Summer Camp to have fun, to grow and to make friends from around the world while learning Spanish and/or English. 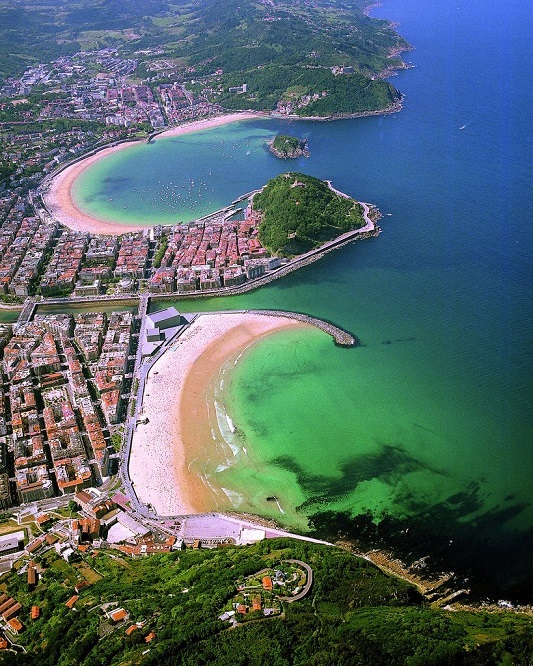 The campus is situated in the Spanish province of Guipuzcoa in the quiet mountain town of Urnieta located just 10 kilometers from the beautiful beach of San Sebastian. 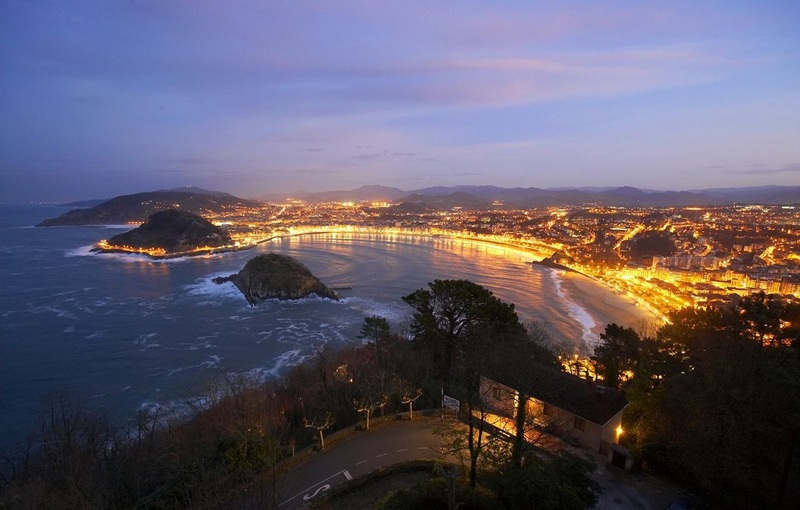 This region of Spain is characterized by its diverse geography allowing our participants to enjoy weekend activities at the beach and in the mountains. 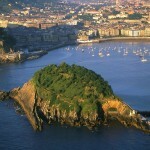 There are a plethora of small towns, museums, monuments, nature reserves, parks and other attractions to explore, also. The camp facilities include: 2 soccer fields, 4 basketball courts, 1 volleyball court, gym, indoor fronton, stage theatre, small movie theatre and TV room, multi-media center with 30 computers all with internet access, game room with 2 ping-pong tables, 4 foosball tables, large selection of board games, sofas, chairs and tables, magazines, an arts & crafts area, etc., cafeteria, classrooms, dormitories, camp store with souvenirs, postcards, snacks and limited and secured access points Lacunza Summer Camp provides the perfect opportunity for students who want to learn, experience, and get to know San Sebastian and the surrounding areas and towns in a secure and educational environment. 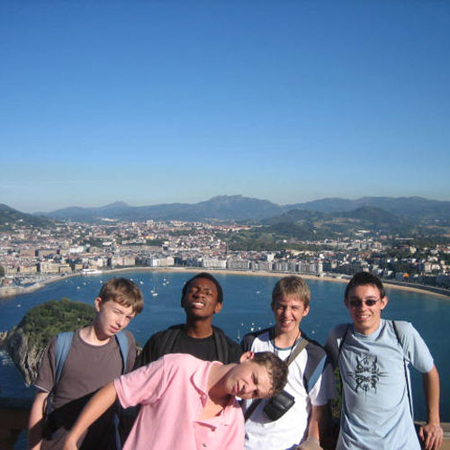 The Lacunza International House school, which operates the Spanish Summer Camp in San Sebastian, is an Instituto Cervantes Accredited Center. 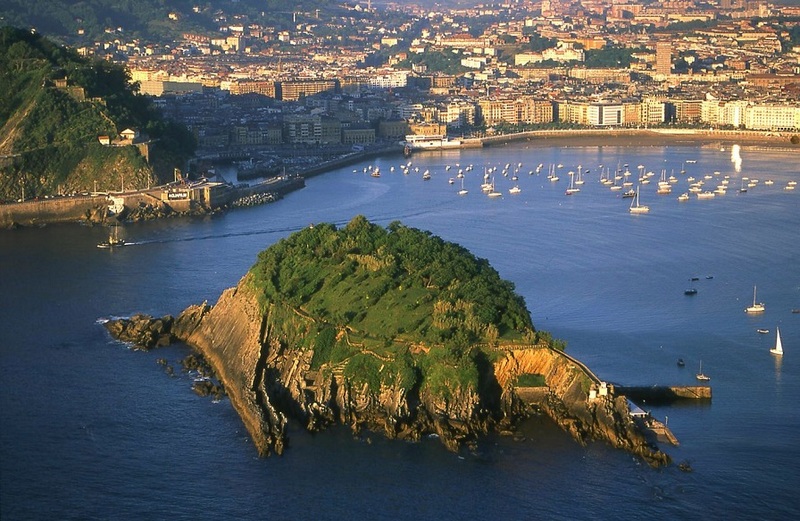 For more than 50 years the Lacunza family has been involved in full immersion language training in San Sebastian. For the past few years they have offered Residential and Day Camp opportunities for young people who want to spend a unique summer in Spain. Camp Dates: 23 June to 27 July 2019. Half Day Camp: Monday to Friday, from 09.30 to 14.00. 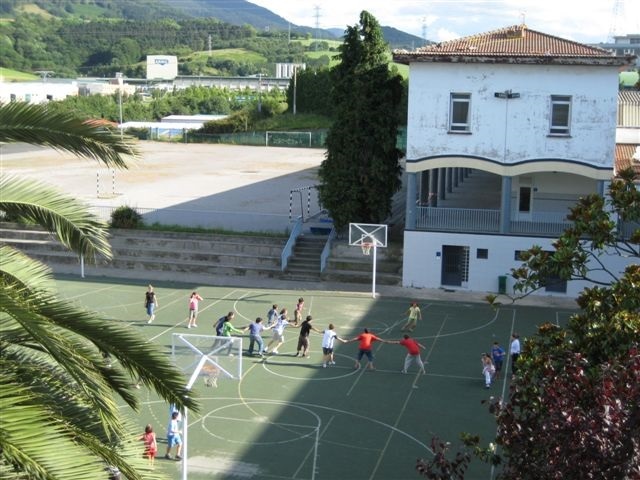 The students will participate in the language classes and the activities that take place before lunch time. Full Day Camp: Monday to Friday, from 09:30 to 19:30. Designed for students who want to enjoy the entire day at camp and sleep at home. 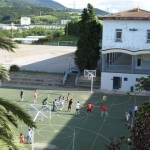 Students will participate in the language classes, as well as, the afternoon sports and activities. Overnight Full Camp: Sunday to Saturday, 24 hours. Overnight students will be immersed in an accepting and secure international atmosphere 24 hours a day 7 days a week providing them the chance to practice the language while in the classroom, during the activities and excursions and while sharing a room with other students from other parts of the world. 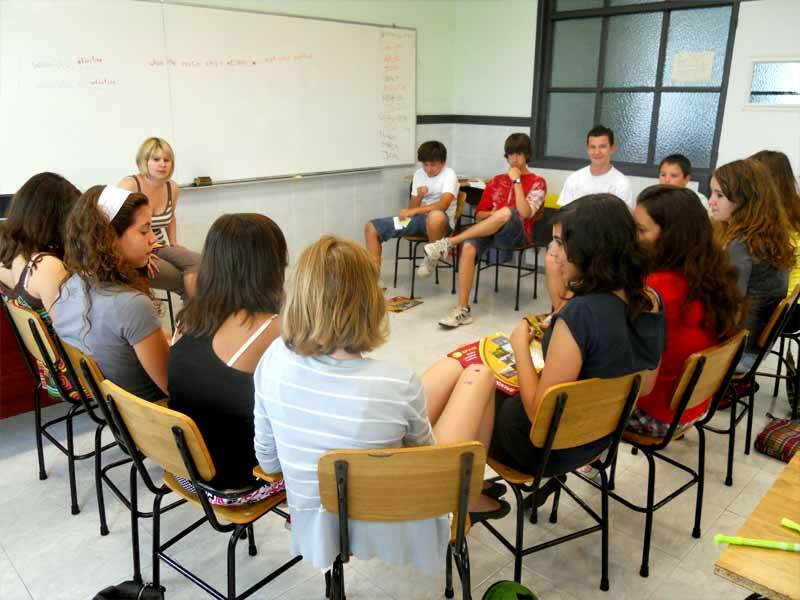 Lessons: 20 Spanish Lessons per week in small groups divided by language level. Overnight Camp Starting Dates 2019: 23 June (1, 2, 3, 4 or 5 weeks), 30 June (1, 2, 3 or 4 weeks), 7 July (1, 2 or 3 weeks only), 14 July (1 or 2 weeks), 22 July (1 week). Last day of camp is 27 July! 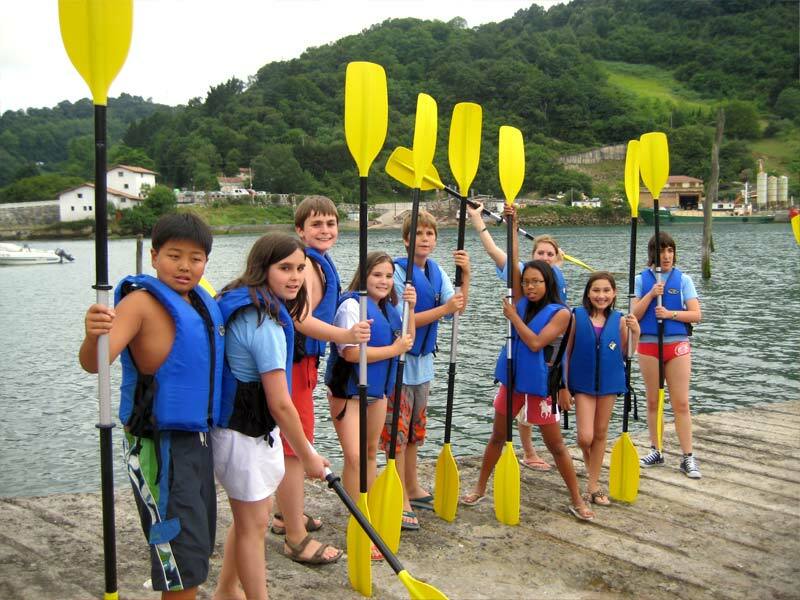 Full Day Camp ONLY Option: Includes lessons, lunch and activities afternoon activities from 9:30 AM to 7:30 PM without accommodations (for students staying with family/friends in San Sebastian) from 9:15 AM to 8:00 PM. 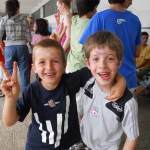 Day Camp Starting Dates 2019: 24 June (1, 2,3 4 or 5 weeks), 1 July (1, 2, 3 or 4 weeks), 8 July (1, 2 or 3 weeks only), 15 July (1 or2 weeks), 22 July (1 week). Last day of camp is 26 July! Daily transportation from San Sebastian to and from camp is available at additional cost: USD 69.00 for one week (USD 63.00 per week for 2 weeks or more). Surfing: 5 hours per week. Surfing lessons conducted by a professional trainer. The ratio of surf instructor to participants is 1:2 for 7-9 year olds, 1:4 for 10-13 year olds and 1:6 for 14+years. Transportation, surfboard and wet-suit rental included. Price: Add USD 167.00 per week to program price. Junior Chef cooking classes! 5 hours per week of cooking instruction with a professional chef. Price: Add USD 245.00 per week to program price. Subject to minimum enrollment! 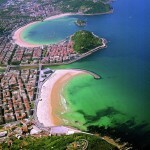 Airport Transfers: Airport transfers from San Sebastian airport are included in the price of the full camp (not included on the Day Camp only options!). Accommodations: All overnight students are accommodated on site. Student rooms have 6 individual beds. Each bed is accompanied by an individual closet. Just off the main hall, there are gender specific toilet and shower facilities. Bunk mates will be chosen by campers in the evening once they have had a chance to meet and greet fellow campers. Rooms are single-gender only and each bunk will be assigned a monitor who will be their chaperone during night activities and help them resolve any problem that might occur during their stay with us. Monitors and chaperones are on call at all times and work to help campers feel at home at all times. Sheets, towels and weekly laundry service are provided. Also, overnight participants will have 2 nights of internet access per week to send emails to their families during their stay. 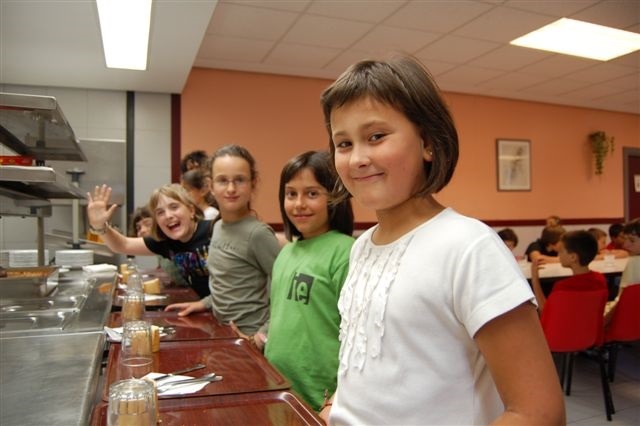 Meals: Lacunza Summer Camp menus are based on a Mediterranean diet. There will be a variety of traditional dishes including vegetables, pastas, legumes and rice making for a balanced diet. The ingredients will provide a proper amount of carbohydrates and fibre ensuring that no camper goes hungry or lacks energy during the full day of classes and activities. Breakfast will include but is not limited to milk, chocolate milk, cereals, biscuits, toast, fruit, juices, jellies, etc. Lunch and dinner will consist of a first course (legume, pasta, rice, hors d’oeuvres, potatoes, vegetables, salad,…), a second course (meat, poultry, fish, a variety of omelettes,… always with their respective garnishes) and dessert (fruit, chocolate pudding, whipped cream, flan, yogurt, arroz con leche,…). All meals are served with bread and water or juice to drink. Laundry: Lacunza Summer Camp has a laundry service that picks-up dirty clothes each week and returns them washed and folded. This service also washes and changes sheets and towels once a week. Campers are informed which day of the week has been scheduled for the washing of clothes and which day of the week has been scheduled for the washing of sheets and towels upon arrival and they will be reminded of these days throughout the week. In order to avoid the loss of clothes, it is necessary that all articles of clothing are labelled with the first and last name of each camper. We recommend that campers include an extra pillow case that can be used as a laundry bag during their stay. 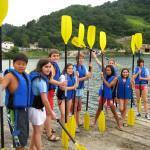 Activities: As in all language camps, apart from class time, there must be fun time. 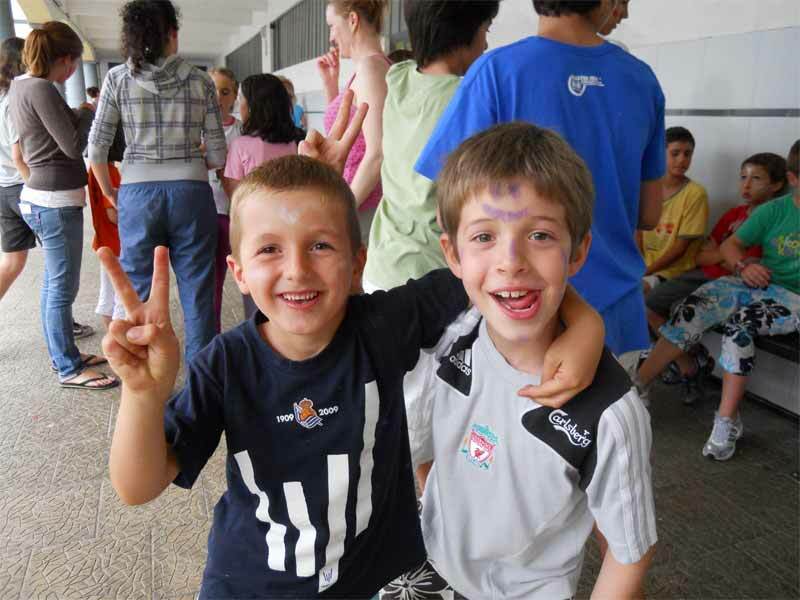 In the spirit of summer camp, we have created an activity program that is designed to foster communication among our language learners offering plenty of opportunities for campers to make friends and enjoy themselves! SPORTS: football, basketball, swimming pool, baseball. MULTI-ADVENTURE: kayak, archery, hiking, horseback riding. ARTS & CRAFTS: painting, weaving, sculpting. 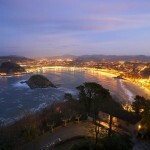 SPECIAL NIGHTS: cinema, disco, casino, etc..
EXCURSIONS: museums, beaches, city and mountain tours… AND SO MUCH MORE! 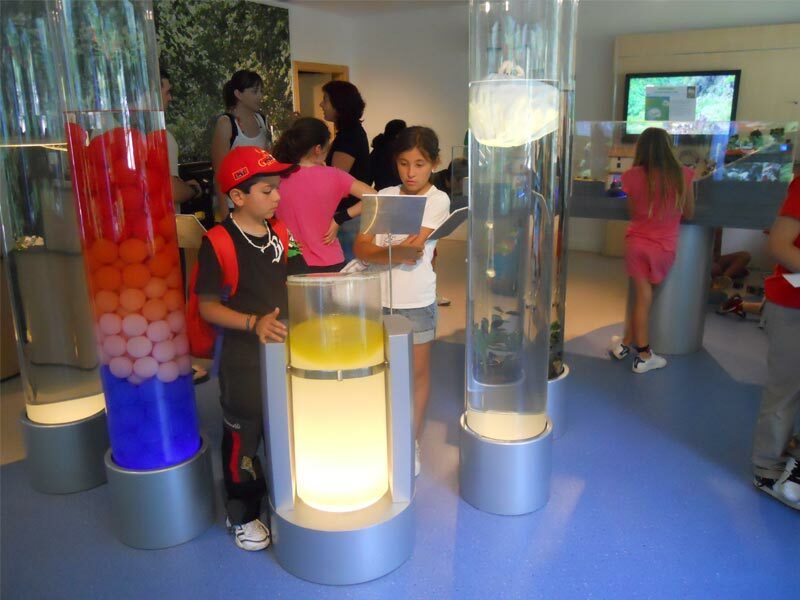 Medical: Your child´s health is of extreme importance to Lacunza Summer Camp. 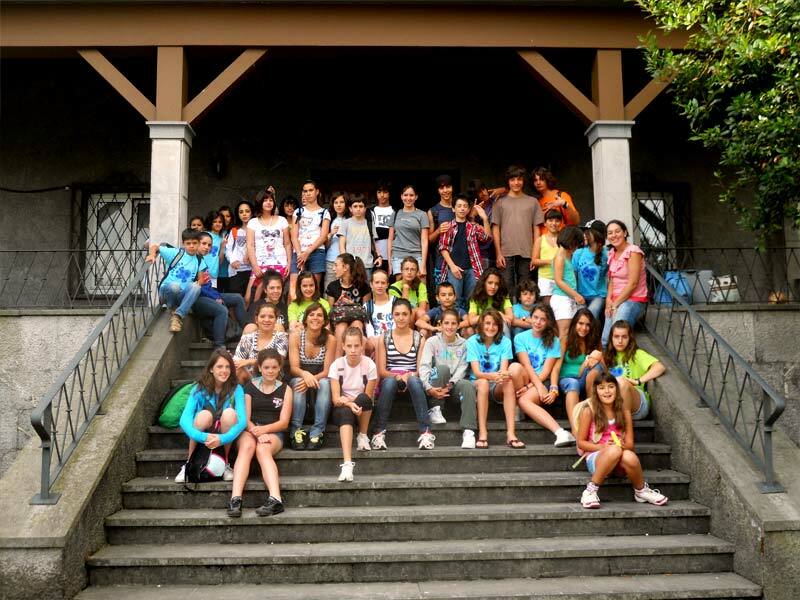 For this reason, we ask that you report any and all special needs such as diet, medical conditions or allergies to Lacunza Summer Camp so that we may provide your child with the attention they require making them feel as comfortable and as safe as possible while away from home. Lacunza Summer Camp has an infirmary to administer first aid for any minor injuries or illness. There is also an emergency room located a very short distance from the camp. Students coming from countries within the European Union must bring their European Sanitary Card with them. It is required that campers from the EU provide a photocopy of this document to camp administration before or upon their arrival to be kept on file in case the child needs any type of medical care during their stay at camp. You may solicit this document in the Social Security office in your home country. Students coming from countries outside of the European Union should make sure that they are insured by a private company that provides health insurance while traveling or is accepted by Spanish Social Security services. A copy of the child´s insurance policy and/or insurance card must be given to camp administration before or upon each student’s arrival to camp. Permission to Leave the Grounds: Because the students are all underage, this option is not available. 13:00 – 14:00: Cultural workshop, games, arts and crafts, etc. 15:00 – 15:30: Game room, board games, reading time, etc. 21:15 – 22:30: Night time activities, games, theatre, movie nights.